Thanks to my short video reviews I'm getting through this stuff faster than ever before, but there's still quite the pile to go through. This is one of the the items that's been sitting around since December...so I figured I better review it before it melts. Look is a beautifully packaged chocolate brand from Japan, and I am always a suckered in by their designs and fancy flavor combinations, but the product always leaves me disappointed. I wonder if that explains the company's name. It would make sense, because this candy is all about it's looks. We have gorgeous scattered strawberries, shiny metallic gold accents, and a lovely higher-end presentation similar to Lindt, but more display-friendly. It's beautiful, but I've been down this road several times before. Look always comes out with really delicious sounding fruity chocolates but the product inside always tastes like a flavored Chapstick to me. Even though I knew the risk I bought this anyway. The strawberry pictures on the package were just too appealing! Maybe this time it'll be different. 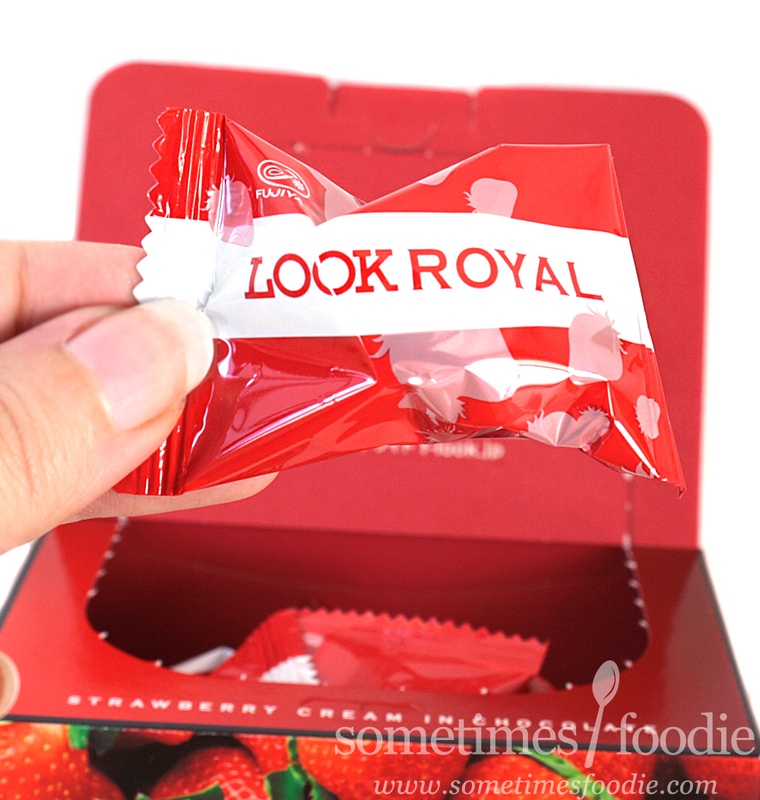 The box opens up into a gorgeous little display showing off the individually wrapped candies with their bright red foiled bags. Sharing them is super easy, and this looks gorgeous on my desk, but are they yummy? Time to find out. I unwrapped a truffle and it was a lot bigger than the other LOOK chocolates I had eaten in the past. 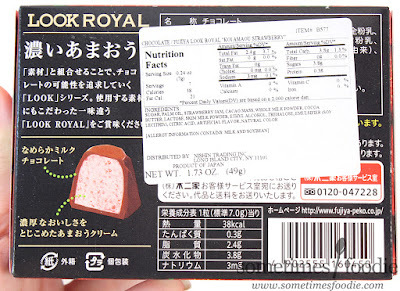 Normally these chocolates are flat and sold in trays, but this is shaped like a faceted jewel. It smells really sweet and milky, but not very fruity. I took a bite...and this might be the best strawberry flavored Japanese chocolate I've ever had! 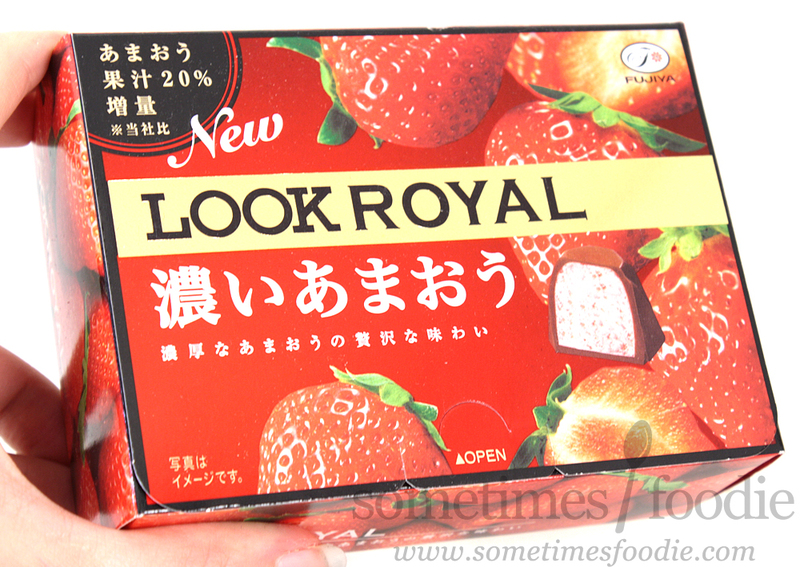 Unlike a lot of other coco-strawberry confections from Japan, this isn't yogurt-heavy and overly artificial. This tastes fruity! 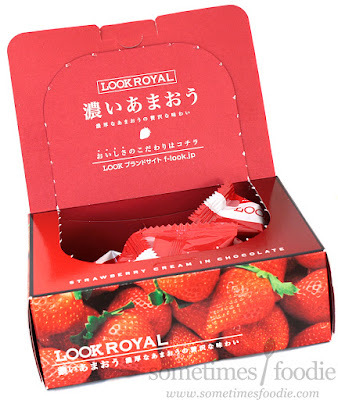 As in real strawberry! The chocolate quality is a little low, with the outer layer feeling waxy on my tongue similar to American Hershey bars (shots fired), but the filling is light, frothy, and a little tangy. 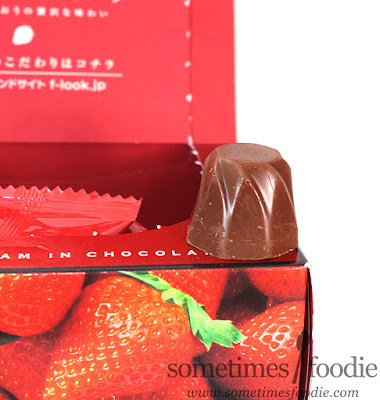 It has a strawberry flavoring that is way more authentic than any other Japanese chocolate I've ever had, and it isn't Chapstick-y at all! I'm so glad I was sucked in by the packaging. These are the best Look chocolate's I've ever had and they give me hope that this brand is more than just a pretty face. 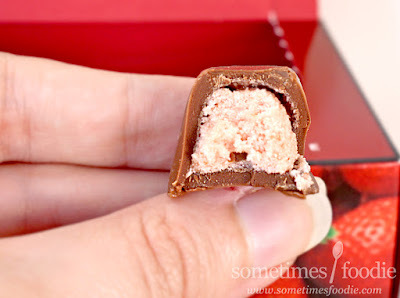 After this I would happily try other Look truffle flavors, but I'm still skeptical about the thinner tray-style packs. Maybe it's just that type of chocolate that tastes Chapstick-y and the rest of the LOOK line is okay...only time (and tasting) will tell!